Here's a new multi-use palette from Stila that will really get you smiling and your creative juices flowing! 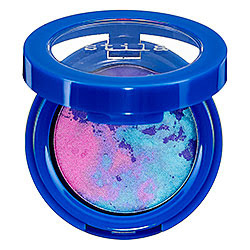 Stila Countless Color Pigments in Tie Dye, shown above (a mix of hot pink/ turquoise blue/ deep violet), is one of my favorites. The three powder shades can be worn alone or mixed together on eyes - or even cheeks. This makes a great little treat for not only yourself but for spring/summer beauty gifts as each pan is like a piece of abstract art. 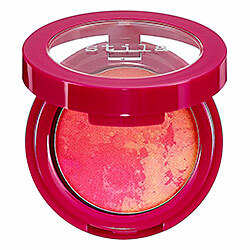 The pigments are bright, smooth and beautifully colored. When I used them for eye shadows, I did apply eye primer first, and just had fun doing different combinations with the lid shades and lining the eyes (both wet and dry). The colors are silky and just a tiny amount was all I needed to begin getting the true, bold shades seen in the pan. 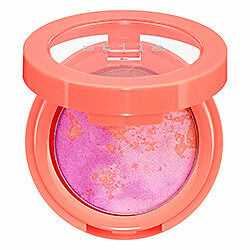 The pink/purples sections of Tie Dye make a really fun blusher, and whats great is that each time you mix it, it will look a little different on your skin. If you want to really do something different, you can try swirling all the colors together for a very unique cheek color. Free Shipping from Sephora on orders over $50. Plus, 3 free samples with every order!